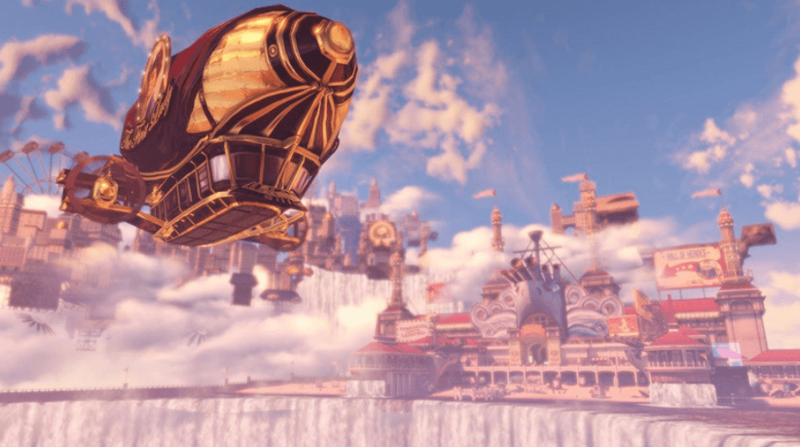 BioShock Infinite celebrates its fifth birthday on the 26th March 2018, so we are looking back at one of the finest examples of story-telling in gaming. Regardless of whether or not you understood the ending first time around – I know I didn’t – it stands up as an excellent game. I’ve been really looking forward to this one. It’s worth stating that because this is such a story heavy game, major spoilers follow for Infinite and the previous BioShock games as we look in-depth at the plot. In the week that was commencing Monday 25th March 2013, we saw the release of Tiger Woods PGA Tour 14, the last EA Golf game to be released under Tiger Woods’ name after 15(!) straight releases, and the ill-fated Ouya started releasing to the Kickstarter backers. Sadly though, Richard Griffiths – who you will know as Uncle Vernon from the Harry Potter films amongst others – passed away at the age of just 65. BioShock Infinite released worldwide on 26th March 2013 and was the third in the BioShock series, that originally started in 2007 with the first BioShock. 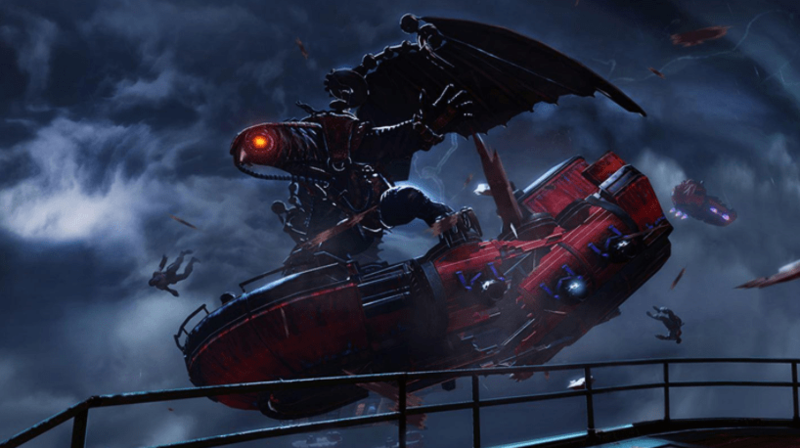 Whereas BioShock and its direct sequel focused on the underwater city of Rapture, Infinite went skywards into the floating city of Columbia. It wasn’t immediately apparent but these worlds and stories were connected not just thematically, but tied together plot-wise with the ending of Infinite and the release of its DLC, Burial at Sea. I can remember the reveal trailer released back in 2010 completely blowing me away. Starting off with what appears to be an underwater city, like Rapture, we quickly realise this to be a model in a fish tank instead. Booker is then thrown out of a window – by what we now know as a Handyman, but originally guesses were an alternative Big Daddy – and we see the city of Columbia for the first time, floating in the sky. He is briefly saved by Elizabeth from falling to his death before she is grabbed from behind and Booker plummets down before fading to black. Fans and theorists have said this is how an alternate version of Booker dies, and this is very much in fitting with the game ending. Players take the role of Booker DeWitt who starts off in a rowing boat, being rowed by two characters known as Robert and Rosalind Lutece to a lighthouse. He is told to “Bring us the girl and wipe away the debt” before being left on the dock to enter the lighthouse itself. Robert and Rosalind appear infrequently to guide Booker throughout his time in Columbia, in their own cryptic way. Appearing as twins they are actually the same person from different realities, which explains their erratic and unusual behaviour. What follows has to be my favourite opening hour in gaming; before the chaos starts and Booker is found out to be the so called ‘False Shepherd’, Infinite presents an astonishingly detailed world. Despite the issues bubbling underneath the surface of the city – and the opportunity to dunk a mixed-race couple into water to highlight the discrimination still apparent in an early 20th Century America – I just adore walking through the first area to experience the baptism after landing on Columbia and the fair and music plagiarised by Albert Fink and re-imagined to fit into a 1912 setting. It’s an opening to a game I regularly play without needing to finish; happy and content enough with the self-contained story within that opening hour. It is right up there with the opening bombing mission in Final Fantasy VII or stepping foot for the first time in Kamurocho in Yakuza 0. Booker needs to free Elizabeth AKA “the girl” from her tower on Monument Island, but she is guarded by a mechanical flying bird – Songbird. 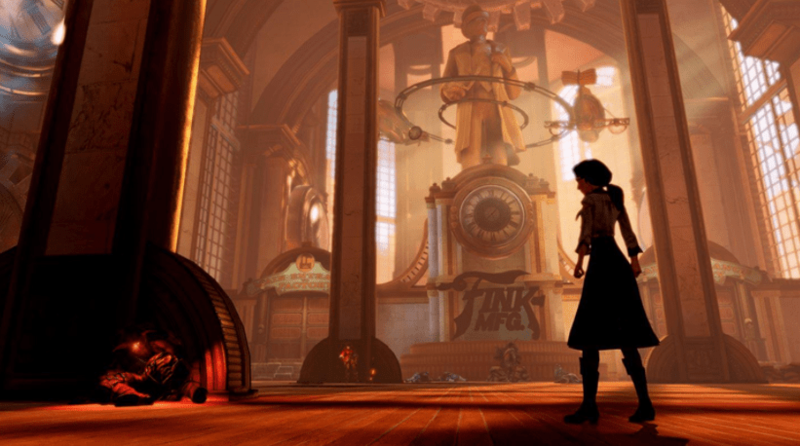 Songbird has a strong bond and connection to Elizabeth, much like the Big Daddies and Little Sisters from Rapture. A new addition in Infinite is the Sky-Line. Early in the game Booker gains access to a Sky-Hook which allows him to traverse the Sky-Line, completely re-writing the rulebook from the cramped quarters of the previous BioShock games. 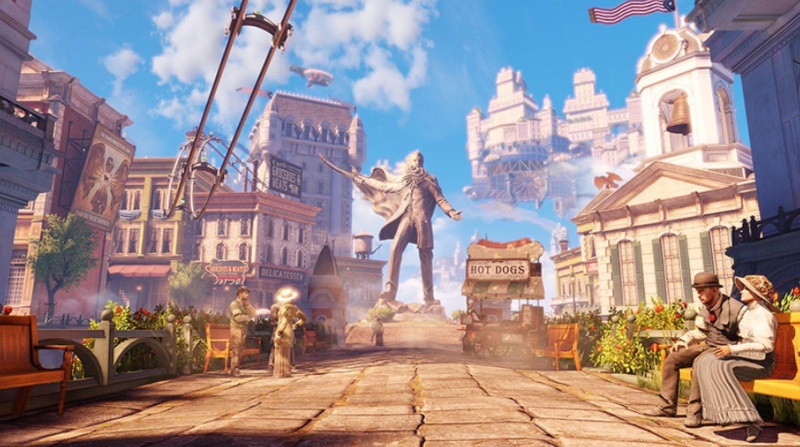 The Sky-Line adds height to the battlefield by allowing Booker to fly round the world on a rollercoaster-like track, able to shoot whilst hooked on. What I especially liked about this was that it was very easy to hook on and off – though sometimes not the easiest vantage point to shoot from – but you did get a real sense of speed on it. Songbird wasn’t the only unusual creation in Columbia. Handymen were originally intended to provide disabled residents the ability to walk again but came with some adverse side effects, not least the fact that their heart is visible for a well-placed pistol shot. The Boys of Silence meanwhile only appeared towards the end of the game but were criminally underused, and the Motorized Patriots, originally intended to act as a tour guide around Columbia, were now well equipped with miniguns to mow down Booker at every opportunity. Enemies like these ‘Heavy Hitters’ terrified and amazed me in equal parts. Throughout his mission Booker has to relive moments of his past. Early on he explores a museum that focuses on the Wounded Knee Massacre, a real-life ‘war’ that occurred 22 years before Infinite was set. We also learn towards the end of the game that Elizabeth, the girl he is trying to rescue, is in fact his own daughter, Anna, that he sold to pay off his debts. Anna/Elizabeth is then raised by Zachary Hale Comstock, the leader and founder of Columbia. As Booker arrives to save his, unbeknown to him, daughter, Columbia is in the grip of Civil War between Comstocks’ Founder and the Vox Populi – led by Daisy Fitzroy, a woman of African-American descent who originally worked as a housekeeper for Comstock before being used as a scapegoat after Comstock murdered his wife to keep the secret of Elizabeth’s arrival on Columbia. This is because Lady Comstock was becoming more concerned with Elizabeth’s unusual behaviours. Elizabeth had special powers that played a key role throughout the game; she had the ability to open ‘Tears’ up in the world. These were portals into alternate dimensions or realities and Elizabeth had gained this ability as she existed in two different realities. This is because she was travelling through the portal into Columbia, carried through by Robert Lutece on the order of Comstock. But as Booker reached out and tried to save her at the last moment, the portal closed and sliced the tip of her finger off, leaving her existing in Booker’s reality, and the one that Columbia existed in. Booker and Elizabeth finally confront Comstock on his airship, with Booker killing Comstock by caving his head in on the side of a font. This method of killing the main antagonist was a direct comparison to the killing of Frank Fontaine/Atlas at the end of the first BioShock game, which was criticised as a cheap ending by having a ‘jacked-up’ enemy to take down. The real finale occurs after this as Booker and Elizabeth must defend the airship from heavy onslaught from the Vox Populi (Elizabeth kills Daisy Fitzroy to stop her from killing a harmless child). They manage to resist and escape to the underwater city of Rapture before heading to the water’s surface. Discovering that they are infinite lighthouses – contrary to the one that Booker entered Columbia through – they realise there are infinite possibilities depending on their actions. Here, we learn how Booker gave away Anna, but we also learn that Booker originally wanted to save her, before his memory was wiped by travelling through dimensions. Something that Comstock himself suffered from and the reason he needed Elizabeth to take over his mantle due to his sterility from using the Tears. But it had to be Elizabeth, no other girl would have worked. That is because Booker and Comstock are the same person from different realities. This version of Comstock attempted to atone for his involvement in the Wounded Knee Massacre – back when he was Booker – by attending a baptism hence the significance when first entering Columbia. Booker, aware of the consequences of this baptism, changed his mind and remained as Booker. Another Booker accepted the baptism, and became this version of Comstock that was the leader of Columbia. This twist – whilst still substantial – didn’t hold as much significance as ‘Would You Kindly?’ from the original BioShock, and it certainly isn’t as well remembered. 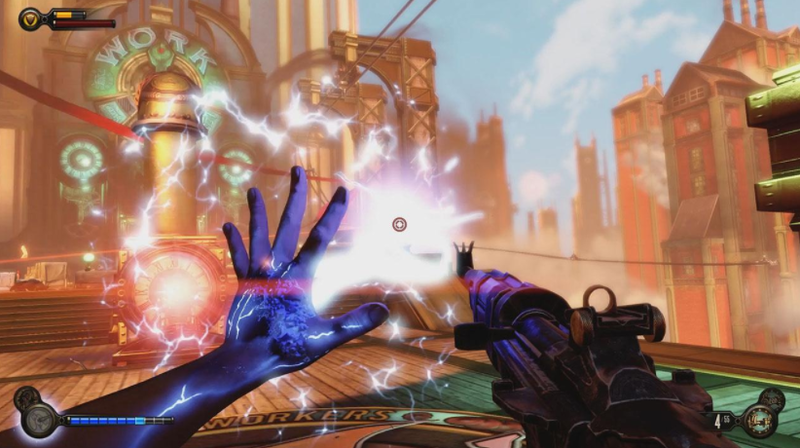 This is partly because fans knew Ken Levine was writing and directing, again much like the first BioShock – however he was not involved in BioShock 2 – so were expecting something whereas it was a complete ‘shock’ in the first game. But also because we, as players, felt directly duped by the twist in BioShock 1. Jack – the protagonist in the first BioShock – was for most of the game, mute, so the player had much more of an investment in him. And not at one point during a first playthrough does the player feel instructed to follow orders due to the phrase ‘Would you Kindly?’. We follow these orders because we feel like we are helping Atlas, with the truth only coming out at the end. Still, the twist packed a decent punch and is well remembered by many after five years. First and foremost though, Infinite is a FPS. And for all the praise and discussions regarding the story post-release, many were more critical on the gameplay mechanics, particularly with how the shooting of the guns felt. As someone who doesn’t tend to play many FPS – aside from BioShock, Halo and Fallout if you consider it one – this was not much of a problem for myself. Besides, the Vigors more than made up for any missteps and I felt more of a reliance on them rather than shooting. My personal favourite was Murder of Crows, and not least for the name. Being able to set this as a trap before a big firefight gave me an extra line of defence when melee attackers had managed to sneak up on me. Another criticism plonked unfairly on Infinite was the graphic representation of violence. Not necessarily that there was too much of it, but rather it had the ability to detract from the main plot. Trust me, if you were half as involved in this plot as I was, nothing could have detracted you from it. I usually take my time with games to become fully engrossed with them, regularly taking months to finish them. It’s an expensive hobby so I get my money’s worth. However, with BioShock Infinite, in the space of a week, I was already halfway through a second playthrough. At its most basic form, Infinite was a game that used guns a lot and special powers that included the ability to burn people alive, electrocute, unleash carnivorous birds on them and possess them, amongst others. With all that going on, a fair amount of blood is to be expected. Failing that the big red 18 certificate on the box should have given some indication. And that rating was there for a reason. Throughout the main plot, Infinite touched on a number of other mature themes including genocide, civil war, religion, racism and deeper, more thoughtful themes involving a lot of politics. 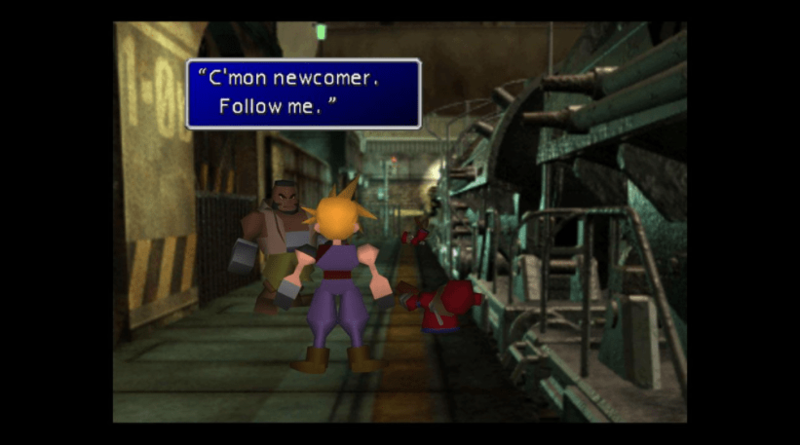 It’s one of the most powerful stories in gaming which can be to its detriment simply because a lot of people won’t experience it because it isn’t a story told in another medium. Whilst the science-fiction element of it is played down in Infinite, fans would lap up this story if it was available on the big screen or as a TV series for example. It’s a story that would work through many different mediums. At the end of the game, Booker knows what he must do to prevent Comstock ever existing. With the help of his Elizabeth – and many other from different universes – he returns to the baptism where Comstock’s path diverts from his own. During his baptism, the Elizabeths all hold him down, drowning him, before disappearing from his view one-by-one. Because if Booker doesn’t exist, then Elizabeth cannot exist either. It’s a fitting ending, but critics remain divided as to what makes this version of Booker so special that it has a direct effect on other Bookers. Many allusions are made throughout the game that he isn’t the first to have entered Columbia and attempted to topple Comstock, so why when this Booker is killed does it have a knock-on effect for every universe? It’s a conundrum that the development team at Irrational had themselves by all accounts, and with time pressures looming, they simply couldn’t deliver the answer within the time that they had remaining. Ken Levine has since come out and said in a 2016 interview for Rolling Stone “For you, it’s an experience that you play. For me, it’s the five years making it, and all the things that happened while making it, and the health problems I had during it…” and “I think the natural expectation was that I would go and do the next bigger and better BioShock game. And I felt, ‘I think I’ll fail if I do that. I think I’ll lose my mind, and my marriage.’” Which is why, after the completion of Infinite and its DLC in February 2014, Levine decided to shut down Irrational Games, keeping only 15 employees on board and re-opening as Ghost Story Games in February 2017. With a huge focus on rebranding to distance himself from the stresses of the last release, fans are still waiting to hear what Levine and the team have been working on since. BioShock Infinite sits proudly on Metacritic with a 93 out of 100. Ranked the third best game of 2013, behind only Grand Theft Auto V and The Last of Us. As it released towards the end of the Xbox 360’s life, it has seen a re-release on the Xbox One and current generation consoles, much like GTA V and TLoU also. The BioShock Collection released here on 15th September 2016. Not much was updated at least in terms of Infinite’s inclusion in the Collection, but it was enhanced to 1080p and 60 frames per second. It did ship with the DLC though: Clash in the Clouds and Burial at Sea Parts 1 and 2. 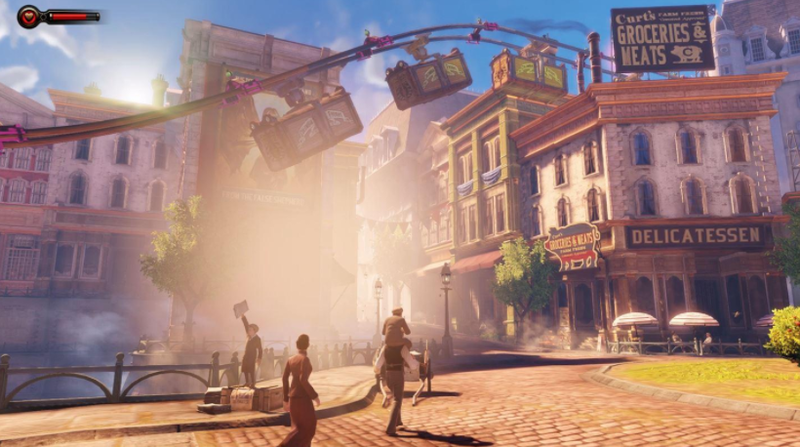 Clash in the Clouds was a disappointing piece of post-release content that focused solely on combat, but Burial at Sea righted those wrongs and further linked Rapture and Columbia in the world of BioShock. 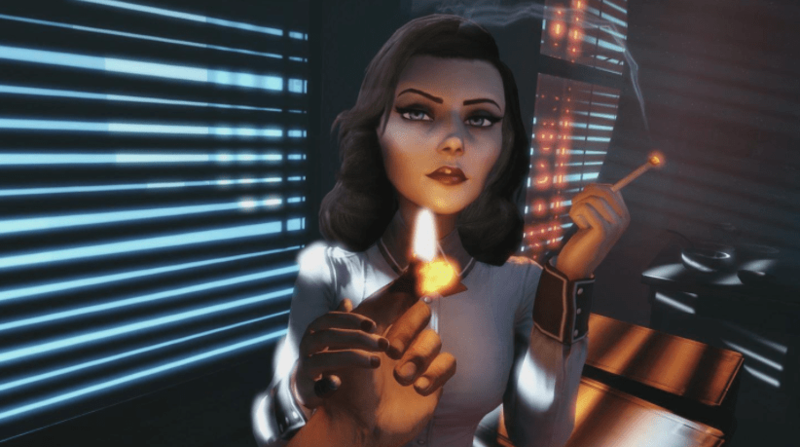 Burial at Sea featured Booker and Elizabeth as residents of Rapture, in an alternate timeline from Infinite where this Bookers’ daughter, Anna, was actually killed when the portal was closed; instead of around her finger it was around her neck. He had his memory wiped by the Lutece’s and placed in another universe where Columbia doesn’t exist but Rapture did. Booker still owns his private investigation firm and one day gets a visit from an Elizabeth from another timeline to investigate the disappearance of a young girl called Sally. They manage to find her but discover she has turned into a Little Sister, the denizens of Rapture who are brainwashed to retrieve ADAM from the residents. This DLC was a really interesting clash of the two BioShock entities: The location of Rapture but the mechanics of Columbia, complete with the Sky-Line in specific locations. I enjoyed re-visiting Rapture and much like the first hour of Infinite, Burial at Sea had an opening section where we could explore Rapture without being attacked, giving players a substantial glimpse of what Andrew Ryan’s intentions were when he built the underwater city. In the second part of the DLC, we finally got to play as Elizabeth, as she continues her search for Sally who has once again been kidnapped. As she continues her journey, Elizabeth realises her mission in Rapture is far more important than finding the missing girl; she needs to rescue all the Little Sisters. Working with Atlas/Frank Fontaine she needs to deliver an ‘ace in the hole’ to him. This ‘ace’ is simply the phrase “Would You Kindly?”, the trigger phrase he uses to control Jack upon his arrival on Rapture. Upon knowing this, Atlas puts his plan into motion to get Jack to come to Rapture to kill Andrew Ryan. Whilst Elizabeth and Atlas have majorly different intentions, they both require Jack to enter Rapture. Jack, while under the mind control of Atlas to complete his mission, also inadvertently completes Elizabeth’s mission at the same time. Since he no longer needs Elizabeth, he kills her. In her final moments she has a vision of Jack rescuing all the Little Sisters – the good ending from the original BioShock – before passing away. This DLC helped round up the hugely fascinating and unique BioShock world, Ken Levines’ magnum opus. If we never see another BioShock release then Burial at Sea brought the trilogy to a natural and more than satisfactory conclusion. If BioShock does continue then it would be interesting to see whether they move away from Rapture or Columbia or tell another story within those locations; due to Infinites’ plot that there are ‘infinite’ universes with infinite possibilities, it’s safe to say there are more stories to be told in those existing locations. Whatever the decision is, we know Levine will not be involved, so we could face a similar situation with BioShock 2 and Jordan Thomas could once again be in charge. BioShock 2 – whilst still a very good game – didn’t change much from the first one, and a worry if the series continues is that it becomes stale. Regardless of what decision is taken (if any) I will be there with my pre-order, just like I was for Infinite. I am a massive fan of the series and proudly display my Big Daddy statue alongside my Songbird one from the collector’s editions. BioShock 2 didn’t have a statue with its collector’s edition but I still bought that too. I love a good story when I game and simply put, the entire trilogy tells a tale that will stick with me forever. Infinite is one of those games that second time around you see that it isn’t hiding the truth from you, you just need to piece them together. It’s similar to watching The Sixth Sense second time around, as the clues are all there. Now, “Would you kindly” leave a comment below and share your experiences with BioShock Infinite?